Women, who want to attain a healthy and soft skin, can apply the dried rose petals on their face by making a decoction. It has other uses as well. Rosa is also known as Rosa Centifolia, which you can call as the cabbage rose. This type of rose is well-known for its fragrance and has many petals. The goddess of love and beauty, rose is also renowned for its healing properties. This is why the rose petals in a dried form are used in many skin care and cosmetic treatments. 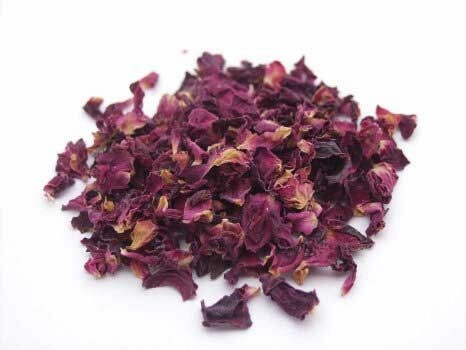 Dried rose petals are enriched with pectin, vitamin C, and citric acids. They release fluid retention and accelerate the removal of wastes via the kidneys. They assist in cleaning the liver and gall bladder. They help in the treatment of many skin disorders. The presence of Vitamin C in them fights skin cells against free radicals. These petals have a calming and relaxing scent. They can be used in creams or lotions. Breakouts and acnes can benefit from rose petals, which have antibacterial properties. Rose petals can be used to prepare a decoction by boiling them. You can use this decoction, which is effective to treat sore throat, infection in the bladder, irregular periods, cleanse the gall bladder and liver and promote bile flow.